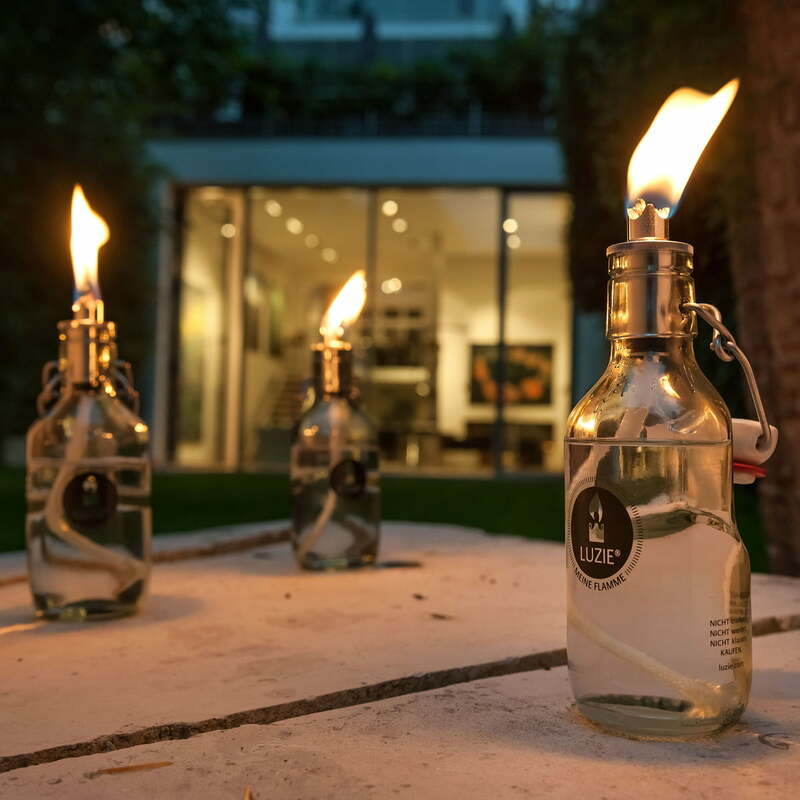 Luzie enters romanticism into your home: The nostalgic and as well innovative oil lamp by Less ‘n’ more is easy to be handed and unexpectedly practical. 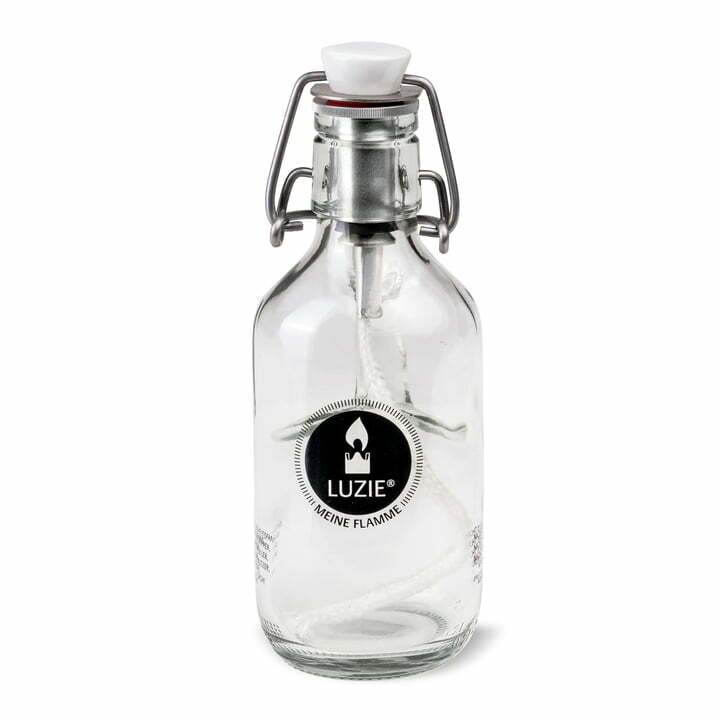 Compared to other lamps and candles, what makes Luzie special? 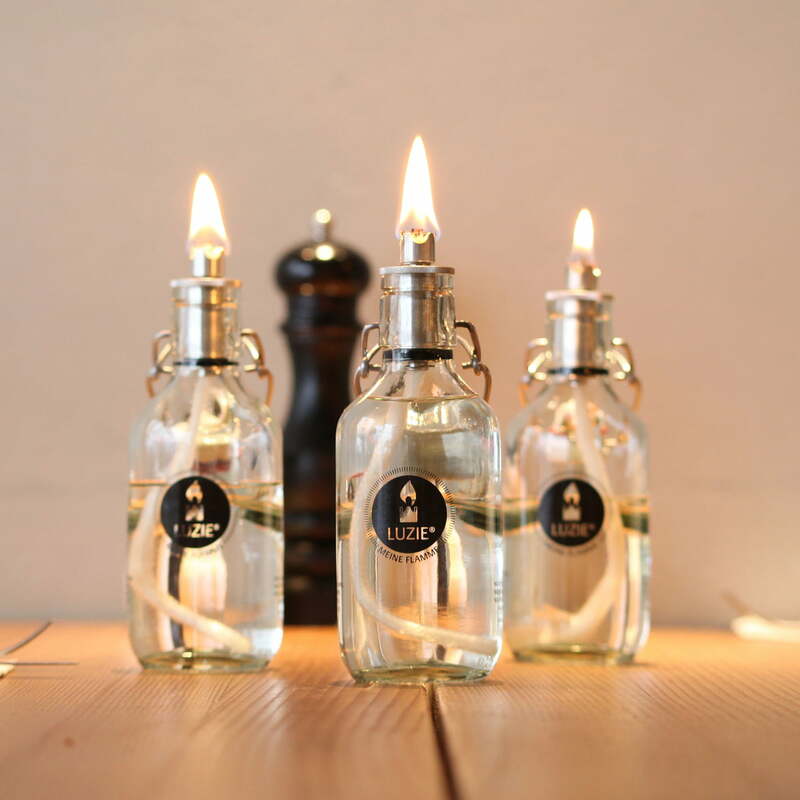 It was only a simple idea in the beginning: Loads of different votive candles, candles to burn down fast and oil lamps, which wouldn’t survive a second garden party- There must exist a better solution for it, was what Less ‘n’ more thought. And as soon as that, Luzie was born: a lamp which was refillable, which wouldn’t lose its content, which was closable and easily transportable. 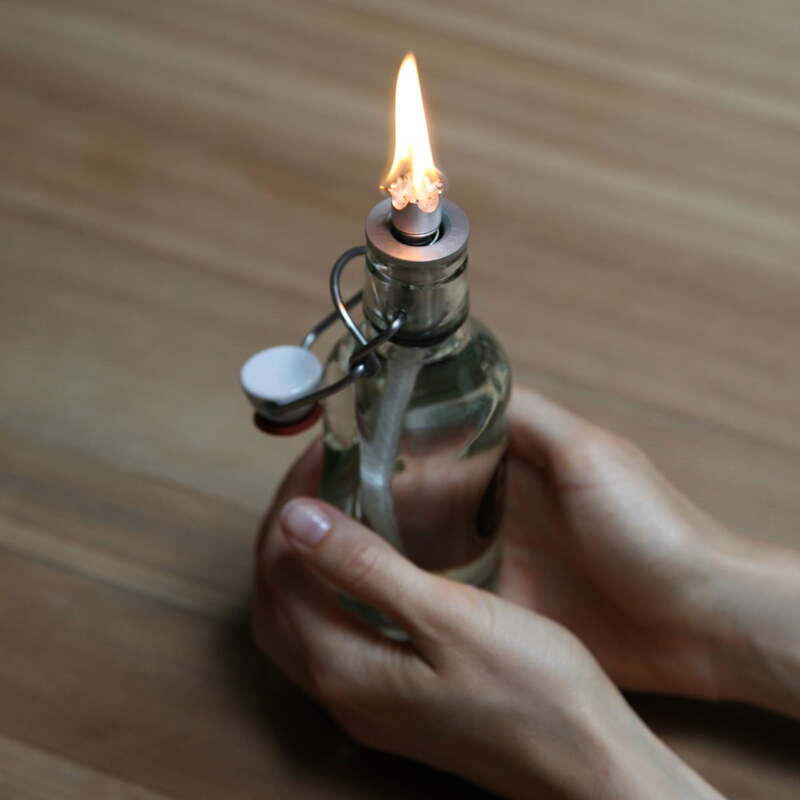 After the flame is extinguished, the bottle lamp can easily be closed again. Therefore the wick and the crown must only be pressed back into the burning insert with a porcelain pestle, and the bracket closure encloses it safely. 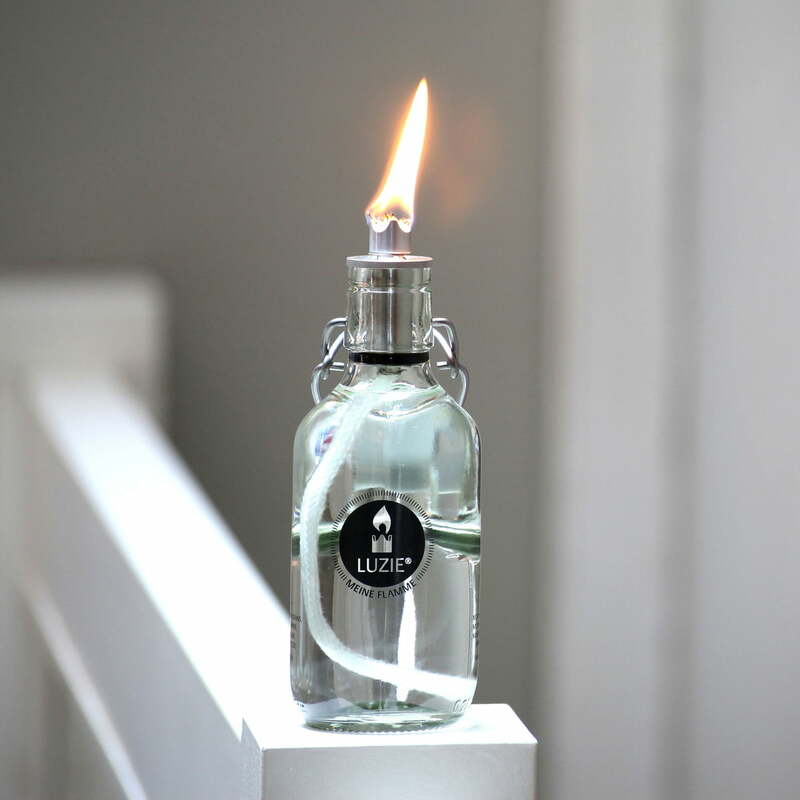 The video of the Luzie oil lamp by Less 'n' more shows in detail how to operate the lamp. Step by step you can learn how to refill the bottle and that it has a safe and drip-tight closure.